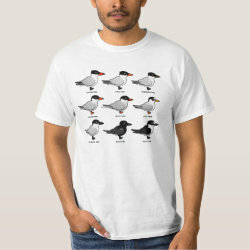 The tern family consists of seabirds; terns are found all over the world. 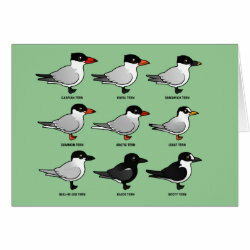 Some species have nearly global distribution! 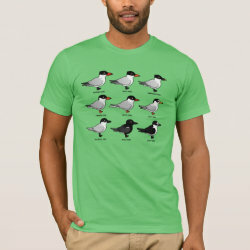 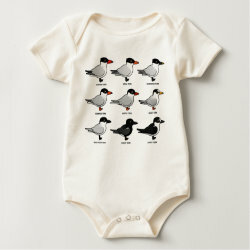 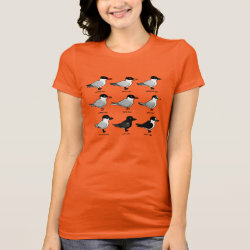 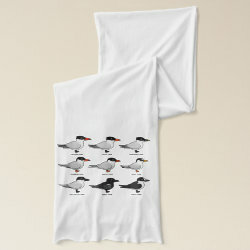 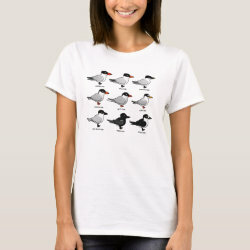 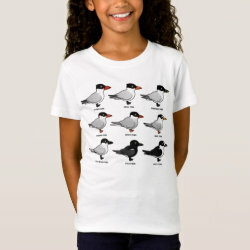 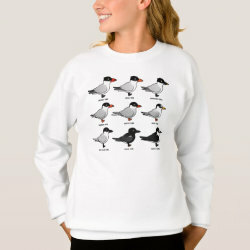 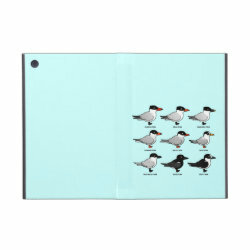 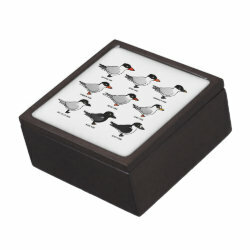 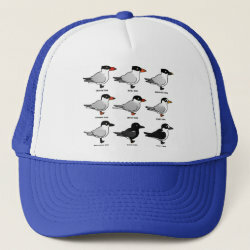 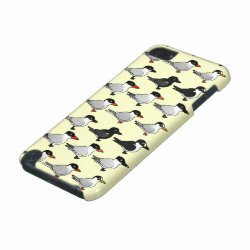 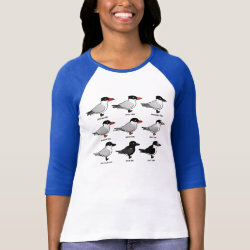 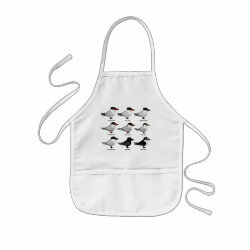 This design features nine cute Birdorable cartoon terns. 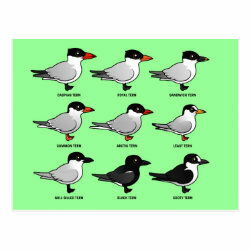 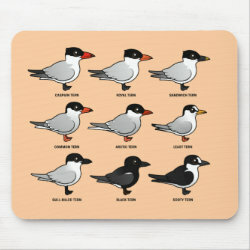 These species can be found in North America and elsewhere: more... Caspian Tern; Royal Tern; Sandwich Tern; Common Tern; Arctic Tern; Least Tern; Gull-billed Tern; Black Tern; and Sooty Tern. 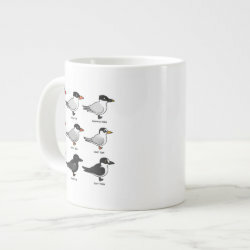 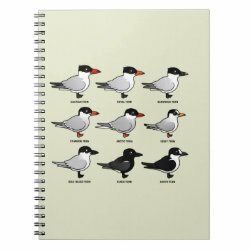 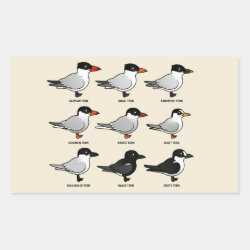 This makes a great gift for anyone that loves these charismatic sea-loving birds! 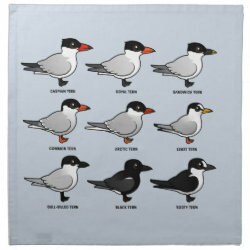 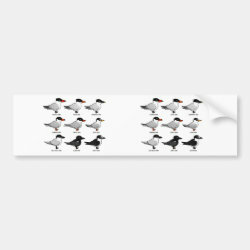 Nine Terns Cloth Napkins (set of 4) dinner 20" x 20"